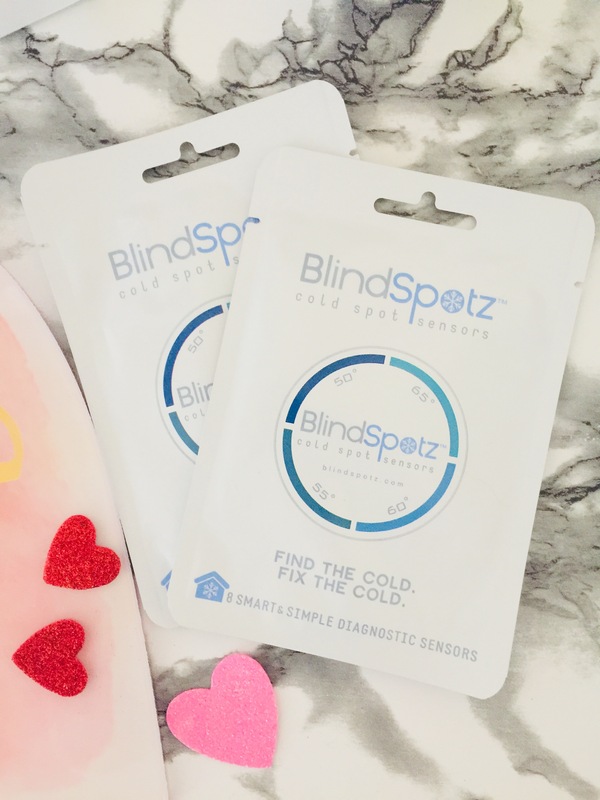 Easily Spot the Cold In Your Home & Save Yourself Hundreds of Dollars: BlindSpotz + A GIVEAWAY! We’ve been so fortunate here in Utah to have had such a mild winter this year, though the snowboarding hasn’t been great! But temperatures still get pretty cold, and I can feel the cool air slipping through the doors, making my home down right chilly! Now living in a 5000 square foot house with over 8 doors, and countless windows, there is quite a bit of cool air that sneaks through the cracks and cools my home down quite a bit! I can tell just by walking in the master bathroom that the temperature drops about 10 degrees! 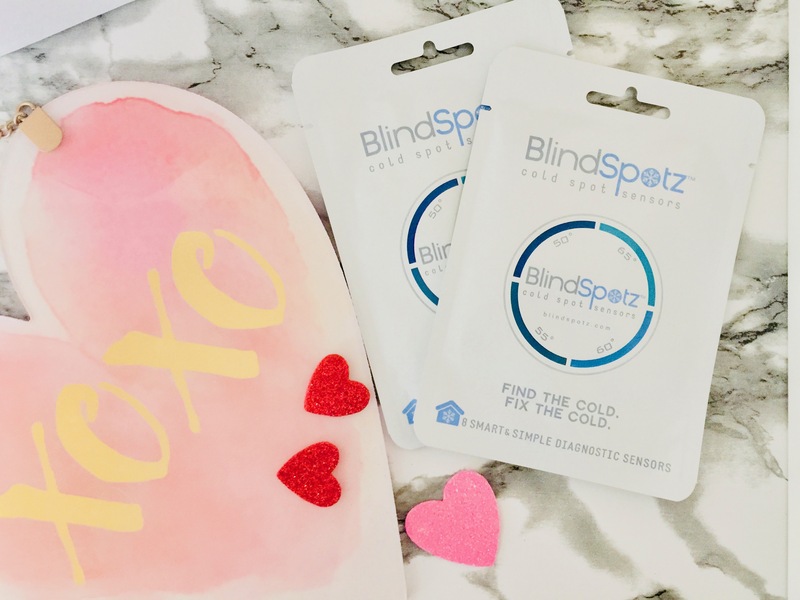 Heating my home can cost up to $400 a month and I’d rather save where I can, so I was pleasantly suprised to find out about BlindSpotz! BlindSpotz are smart and Simple Diagnostic Sensors you place around your home to find the cool spots! Not only does BlindSpotz help point them out to you, but it also offers awesome personalized solutions to fixing the problem too! The typical energy efficiency audit costs between $300 and $500. Not only is that expensive, but the contractor will come when it is convenient for him (the middle of a single day) when it isn’t the best time to figure out where your problems lie (usually at night or on a colder day). Blindspotz is a completely new way to think about home efficiency testing. You do it yourself. The results are simple and obvious. 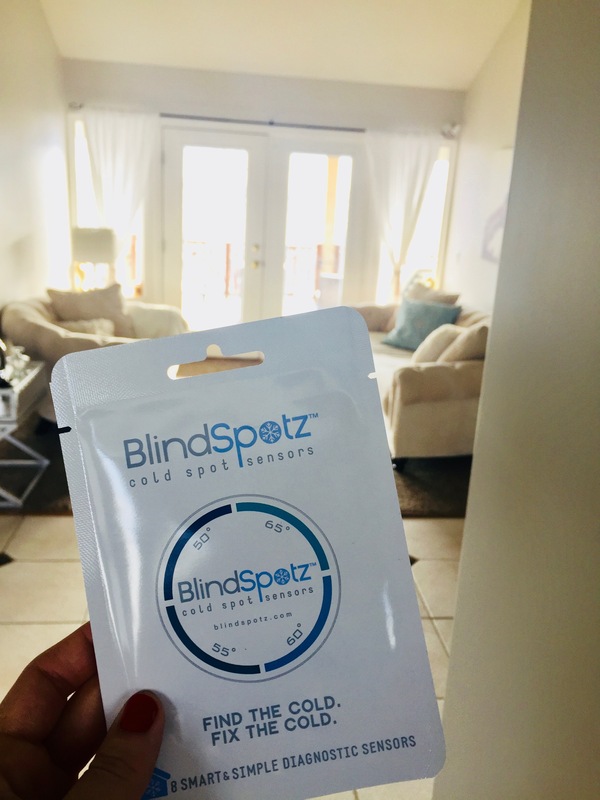 Once my BlindSpotz arrived, I started quickly placing around doors, windows, and of course that super cold Master Bathroom of mine! 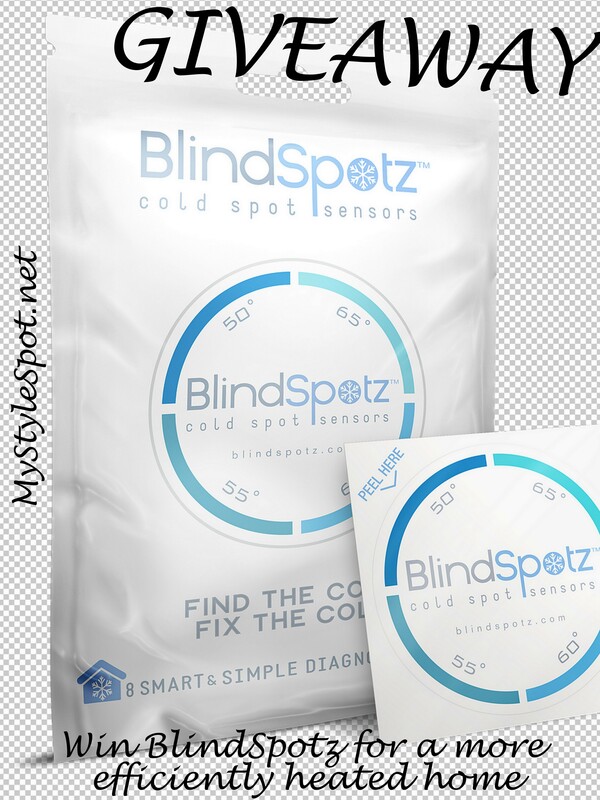 Each packet of BlindSpotz comes with over 8 diagnostic sensors that are super simple to use! It’s a sticker so it will stick to anything and everything (but easily pulls right off when you’re done using- and no sticky film left behind!) You simply warm for a few seconds by rubbing in your hand, place around your house where you want to see if you might be losing warm air, and then wait 48 hours for the results which will show up on the BlindSpotz sticker sensors. *Be sure to stick to surfaces when temperatures hit below 32 degrees. I placed mine early one morning while it was still very cold outside! 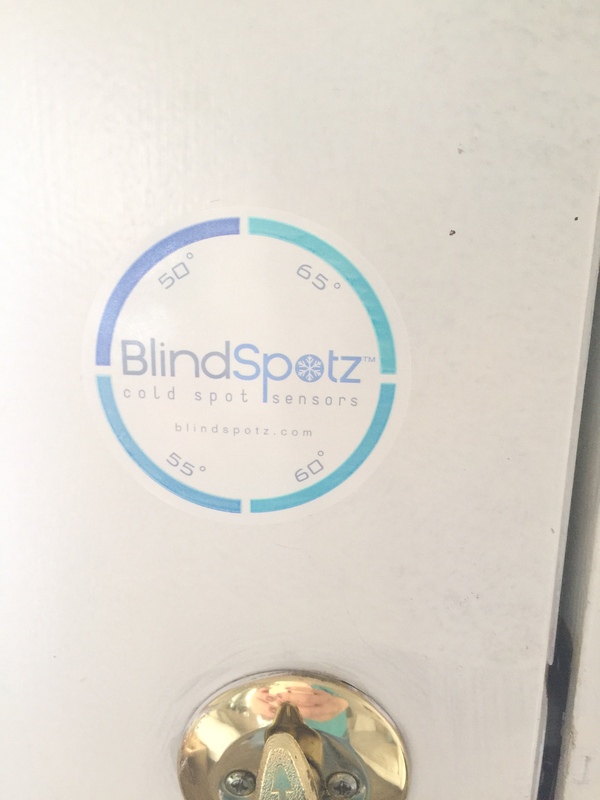 Once you get your reading, (like I got here on my front door) take pictures with your phone of your BlindSpotz that read below 55 degrees, and you can simply email or upload the photo on BlindSpotz.com and they will send you free information and personalized solutions for fixing the cold spots in your home! Using BlindSpotz couldn’t be any easier! It took me all of about 5 minutes to place the stickers in my home, and another 5 minutes to send over the email to get the solutions tailored perfectly for my home! AND I love that it saved me hundreds of dollars by not having to have an expensive energy-efficent audit done in my home! Plus, once I put these fabulous personalized solutions into place that BlindSpotz sent me, I will be saving a ton on my monthly heating bill too! Interested in learning more? Be sure to check out BlindSpotz.com today! Also, the lovely people of BlindSpotz are letting me give 3 packages away to 3 of my lovely readers! ENTER TO WIN 3 packages of BlindSpotz- for a more efficiently heated home! GIVEAWAY open to U.S. residents only! *Please note If you have won the same prize on another blog, you will not be eligible to win it again. *This is a sponsored post written by me on behalf of Review Wire Media for BlindSpotz. However, all thoughts and opinions expressed in this post are solely my own. I only share reviews with my readers, I feel will be beneficial or informative in some way.